A football writer of ten years, Bob Moir started his career in 1948 with the Winnipeg Free Press. He Joined CBC in 1952, and did TV play-by-play from 1957 to 1963 including his first Grey Cup commentary in 1958. He was a producer and executive-producer of CBC football telecasts from 1976 to 1984. He was a founding member of the Football Reporters of Canada and was their first secretary-treasurer. His major broadcast achievement was as executive producer of CBC’s coverage of the 1976 Olympic Games in Montreal. 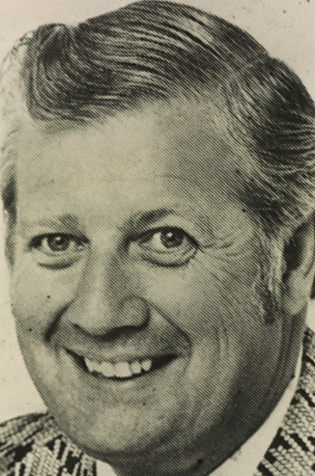 Bob Moir was inducted into the Canadian Football Hall of Fame and Museum, Football Reporters of Canada wing in 1985.